All in one place: manage, organize and track all testing efforts in a central place. Web-based: either hosted on servers. Any method: manage functional, exploratory and automated tests with ease. Start test runs: start test runs and select test cases based on filters. Configurations verify tests against any platform or environment. Traceability and coverage reports for requirements, tests and defects. Comprehensive project reports, track the coverage of your tests, references and defects as well as many additional metrics and statistics. Integration with various issue and bug trackers - FogBugz, Redmine, Bugzilla, GitHub, TFS, Lighthouse, Rally, Mantis, Assembla etc. Integrate with requirement management tools, agile project management and wikis. Assign tests to users and enable collaboration with comments, attachments and feedback loops. Personalized to-do lists, filtering options and a central place to execute tests. 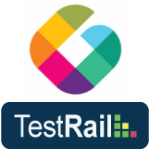 TestRail Hosted - cloud & SaaS edition hosted on TestRail servers.